Ah, the Windhammer competition. If it wasn't for this showcase of gamebook talent, I probably wouldn't have ventured too far into the world of gamebooks. It was the Windhammer competition that motivated me to write better gamebooks after a few terrible attempts. So it means a lot to me. However, there is more to arborell than this competition. 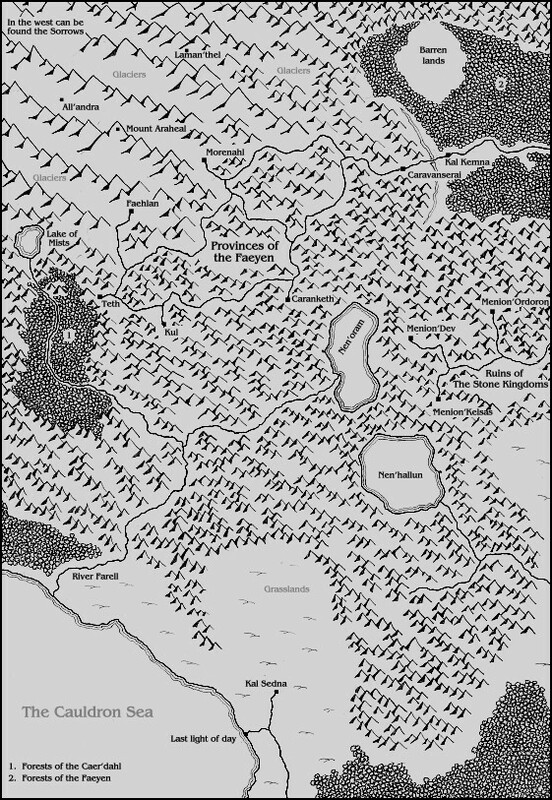 It is also home to the Windhammer gamebooks written by Wayne Densley which are set in a rich vivid world. You should definitely take a look at them. The Windhammer competition is running this year and there is no excuse for not entering so get typing on your short gamebook. After you've read the interview, of course. 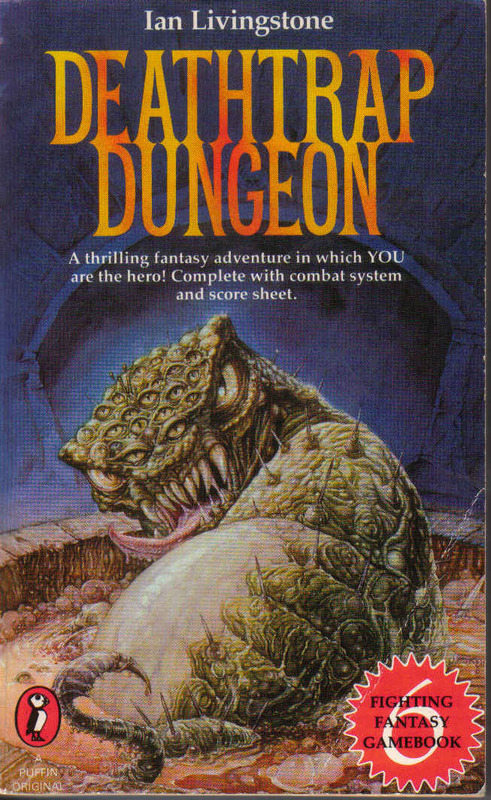 I started reading gamebooks back in the early nineties and if I remember correctly the first gamebook I ever read was Deathtrap Dungeon followed shortly thereafter by Spectral Stalkers. I can't say that I have a particular gamebook favourite. As far as the series go I like both Lone Wolf and Fighting Fantasy but for different reasons. Lone Wolf is a great series when you are wanting to be a part of an ongoing adventure that allows your character to develop skills and evolve in a large world setting. Fighting Fantasy however, allows a reader to find adventure in a range of different settings and genres. Allansia and Titan figure prominantly in those books but there is a great deal of variety in the subjects and themes delivered. I have also enjoyed some of the Herbie Brennan gamebooks. I must admit that I have read none of the Fabled Lands books although the structure of those books does sound intriguing. As far as commercially published gamebooks are concerned the first few Lone Wolf books are a great introduction. There are also a large number of amateur gamebooks available that are every bit as good as the commercial ones and I would say that the internet is always a great place to start. The Fighting Fantasy Project and the Windhammer Prize Gamebook Archive are two that come to mind. A gamebook is an interactive story, one where a reader can choose the path they wish to take within that adventure and where success is theirs to find alone. Gamebooks fill a niche that allows a reader to play out an adventure alone, where the interactive nature of the story goes beyond what you can find in most books, and where there can still be introduced a measure of luck or good judgement to find success. What I like about gamebooks is that they allow a reader to explore a number of branches within a storyline and ultimately find the best way to an adventure's end. It is true that many games allow a greater level of exploration but few have the depth of narrative that can be found in most gamebooks. In the end I guess what makes them great is that gamebooks meld the best that can be found in both books and games and produces at its end a coherent solitaire adventure that can be enjoyed almost anywhere. 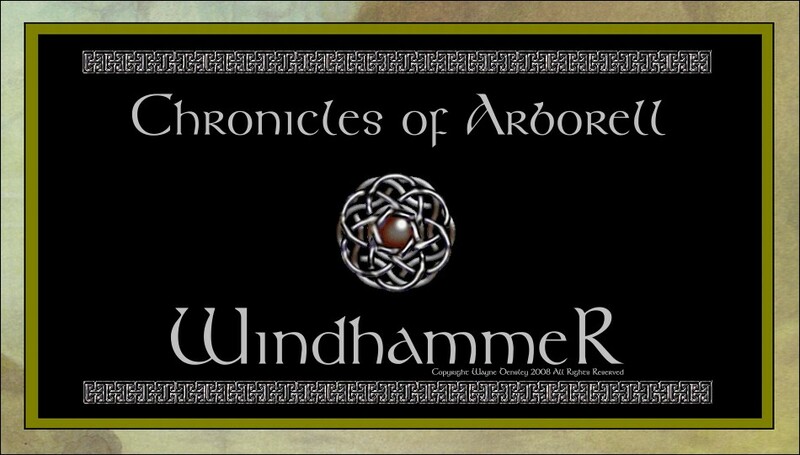 The Chronicles of Arborell started many years ago as a single solitaire adventure called Windhammer but which quickly grew into the series The Chronicles of Arborell. The idea initially came from a desire to write a well-written and compelling adventure but which evolved from that point into a much larger and long-term undertaking. Mostly the stories I put together are extensions of circumstances and characters that have arisen in previous plotlines from the Chronicles of Arborell. In drafting the first volume of Earth and Stone (and yes it will one day be completed) I put together the character of Tansen'Delving, a Jotun from the northern wastes of Arborell. In writing that character into the story it became apparent that he had a story of his own to tell so I drafted the beginning of the Jotun of the West series. That series has then led to the development of the Mythology of Arborell and the full creation of the First Book of Haer'al, the Elder Tongue of the Ancient World. Each new branch of the story generates new ideas that then lead to new storylines and a greater filling out of the world of Arborell itself. When the series is finished it will encompass a continuous history of Arborell from its first creation as the world of Emur to the final destruction of the Old Enemy and the reconciliation of the Oera'dim and Humankind. Ultimately characters beyond Halokim Vesh such as Shalengael, Gremorgan Hedj, Qirion'Delving, the Hresh Ghered, the Mutan Besson, Shamaril, the Brethren of the Deep Guild and a number of others will have novels, games or gamebooks devoted specifically to their part in the history of Arborell. As is the case in our own world it is strong personalities that drive history and the Chronicles of Arborell is very much about the way each of the main actors interact with each other and the events that those interactions precipitate. It must be said that the Chronicles of Arborell is not only a gamebook series. The main narrative of the story is encompassed within the fourteen gamebooks that are currently planned, but of the forty-five titles that will make up the world of Arborell there can also be found novels, novellas, card-based gamebooks, wargaming systems, roleplaying materials, atlases, fantasy languages, a fully documented mythology and other internet-based resources. In a way the game system for the Chronicles of Arborell has evolved as the series itself has evolved. The Chronicles has always tried to provide as much of a traditional gamebook experience as possible, even though it is delivered in a digital format. Over time that system has grown to include a range of character generation options and two distinct combat systems, a standard system written into every title, and the Windhammer Enhanced Combat System available as an option for players who like combat focused adventuring. I particularly like the WECS as it allows a player to develop individual fighting styles and to recognise tactics that best suit different types of opponents. Those game systems have also been developed to be consistent with the Torchlight card-based gamebooks and the Warriors of the March large-scale wargaming system. Planning above all else. Generally when I write a gamebook I start with a general plotline then draw out a terrain map of the entire adventure. Once I'm happy with that I start drafting the narrative and balance the different branches of the story so that no matter what options you take the adventure is equally complex and challenging. After putting together a handwritten draft of the text I type it all up and then print it. Then comes the playtesting, in particular looking at story logic and flow, combat balance and overall difficulty. Testing can take a while and I find myself regularly updating all the titles to include new information and to maintain the consistency of the overall world setting. Why did you come up with the Windhammer competition? Any quick search of the internet shows that there is an active community of readers and authors out there who have a passion for gamebooks, and who are in many cases excellent gamebook writers themselves. I started the Windhammer Prize five years ago because it seemed a good idea to have an ongoing international competition that would give an impetus to authors to write gamebooks and promote the gamebook genre in general. It seemed like a good idea at the time and over the intervening years has achieved all the objectives I set for it. I can see the Windhammer Prize for Short Gamebook Fiction being around for a long time to come. What advice would you give to someone entering the Windhammer competition this year? There are a couple of things. Firstly check the rules carefully and make sure your entry is properly tested and spell checked. I have found that readers are turned off a gamebook pretty quickly if they have to wade through large amounts of bad spelling or logic flaws. Secondly the gamebooks that do best are those that take to heart the competition need for original and creative subject matter. Do something novel and you have a far better chance of being read and voted for. What have you enjoyed most about the Windhammer competition? For me the Windhammer competition has been a successful exercise in promoting gamebooks and gamebook authors, and it has been great to see it grow into the competition it now is. The inclusion this year of commercial publication of the winning entries has met one of the main objectives I set for the competition and it is going to be really interesting to see how it effects the reach of the Windhammer Prize. I can say that it is very satisfying to see the level of energy and creativity that authors put into their work. It is not an easy task to write a gamebook adventure, the hours can be long and the creative process complex, and I appreciate the work that goes into all of them. It is very cool that so many authors have taken the time to be a part of the competition so far. Currently I am working on the second Jotun of the West gamebook and will have it out later this year. I am also working on a Sixth Horde War Campaign Manual for the Warriors of the March wargame and if I can I will finally finish the second Windhammer companion novella, Honour Among Thieves before beginning the third JOTW adventure, the Horns of Gorgoroth. I find that I have a number of unfinished projects and it is my intention to get through them all asap. I have been writing the Chronicles of Arborell for eighteen years and so far have put together more than twenty individual titles. It is one of the great advantages of digital publishing that it is very easy to improve and update existing titles and I have always believed in a constant process of quality improvement. This process means that I also spend some time redoing older titles so that they remain consistent with the newer storylines. To this end a new version of the Windhammer companion book, The Inquisitor's Lament will be out in the next few days. Do you have any other sites/blogs/twitter feeds besides www.arborell.com? 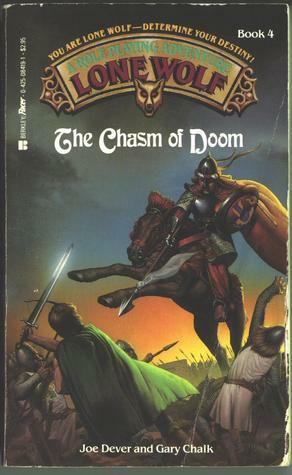 I do have a number of Facebook pages devoted to different titles from the Chronicles of Arborell and a Facebook group - Chronicles of Arborell Gamebooks. There is also the chroniclesofarborell yahoo group. I find that the website and the writing of the series itself takes up most of my time. The commercial future of gamebooks lays with the growth of digital apps and ebook titles for tablets like the Kindle and ipad. Although there are some very good printed gamebooks available I'm not sure that they will have the same reach as the digitally available versions. With the growing popularity of mobile computing and hand-held devices such as idevices, android etc there are markets developing that small developers can access and the future of gamebooks certainly looks bright because of it. For amateur gamebook authors there is now a world audience available and re-enervated with interest because of the emergence of these digital gamebook apps. Readers who loved their new FF or GA gamebooks now spend time trawling the internet for what else is available and that has implications for anyone writing new gamebook fiction, commercial or otherwise. Visit the Chronicles of Arborell website here. For the 2012 Windhammer guidelines, go here. For the Chronicles of Arborell Yahoo group, go here. To go to the Facebook group, click here.